The drones, authorities say will operate 24 hours daily from four distribution centres across the country. 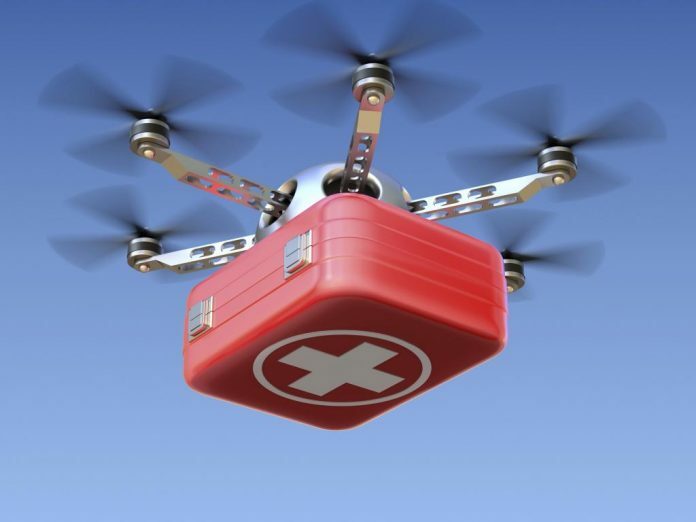 Ghana is set to begin the transportation of medical supplies including emergency blood to remote areas of the country by drones. Christened the drone delivery network, the exercise will be run by Ghana’s Health Ministry in partnership with an indigenous private company called Zipline Ghana Limited. The Director-General of Ghana’s Health Service Dr Nsiah Asare told journalists in Accra on Tuesday that the project will make Ghana the most advanced health care supply chain on the planet. “The purpose of the drones is part of Ghana government’s policy to deliver quality health service to every Ghanaian. We have sustainable development goals—goal 3, which says that every Ghanaian everywhere should have quality care. “And Ghanaians are going to use the drones to deliver drugs and services. We believe that it is the most cheapest and efficient way to deliver to the remotest and underserved areas of the country,” Dr Asare said. The centres will be stocked with 148 lifesaving and essential medical supplies including emergency blood and oxytocin to save women’s lives in childbirth postpartum haemorrhage, emergency medicines for surgeries, severe infections among others, Starrfmonline.com reports. The drones, according to officials of Ghana’s Health Service will not replace the existing supply chain instead handle emergency stock out situations. The world’s first national drone delivery service was launched in Rwanda in October of 2016. The medical drone delivery service has been so successful at decreasing waste, increasing access and saving lives in Rwanda that the government recently announced intentions quadruple the size of its operation.